A good Christmas poster template should have some symbols of Christmas. This template with jingle bell and Christmas tree image will meet your expectations. What’s more, you can search clipart like Santa Claus from the gallery. 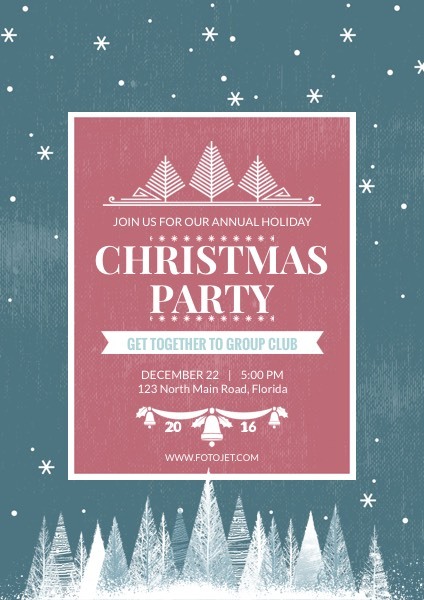 It is very easy for you to make Christmas party posters with this template by replacing the default text with yours. Once you are satisfied with your creation, print it out and get ready to blast off!